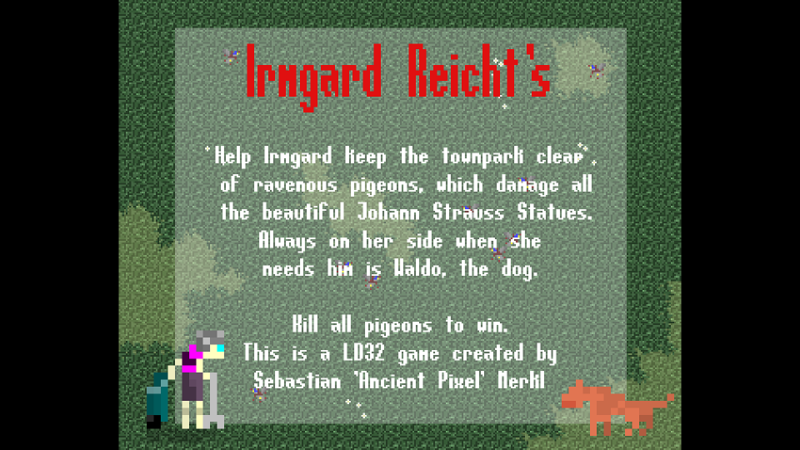 Irmgard reichts, she has enough of the ravenous pigeons in the townpark, flocking around and destroying the beautiful statues of her beloved Johann Strauss. Irmgard strikes back. Together wirh her dog, Waldo, she goes on the hunt. If she's tired and worn out from the fighting she sits down on the public benches to rest and regain some healthpoints. 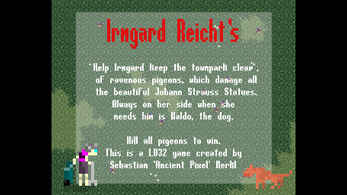 Help Irmgard to keep the park clean!